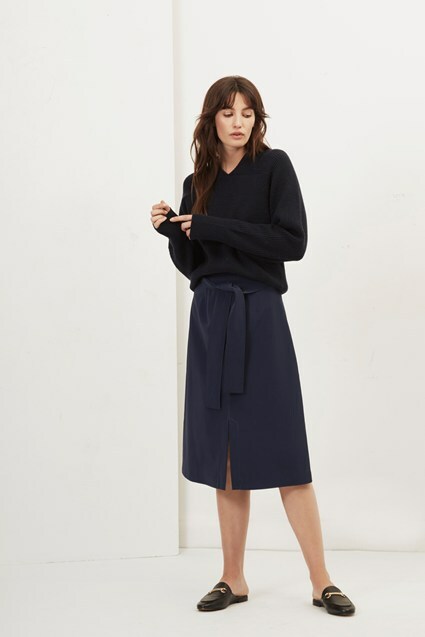 Reach for the soft-touch brushed button-through skirt on a no-idea-what-to-wear day. It is woven from a sturdy and structured material in a flattering A-line cut that nips in at the waist and splays out over the hips. Showcase its button front fastening by wearing it with tucked in tops.